I love older needlework books and I have lots and lots to share on this blog. 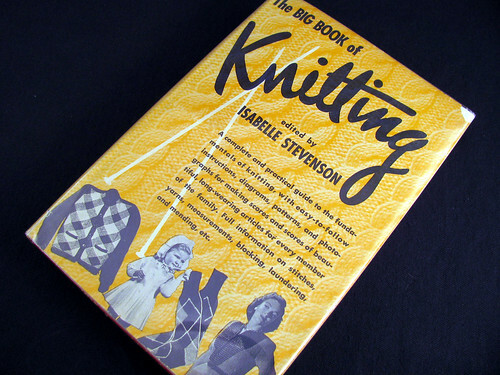 Today I feature “The Big Book of Knitting” edited by Isabelle Stevenson. 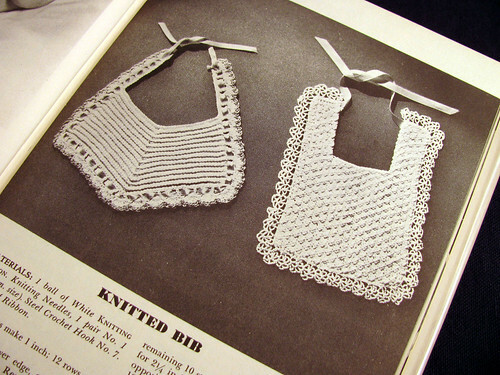 In its 282 pages it has a pattern for almost everything a knitter would want to knit. There are pattens for socks to sweaters; afghans to doilies; mittens to slippers; covering both house and family from top to toe. I originally bought the book at a used book store for these bibs. I just thought they were cute. I love this sweater. It is done with ribbon yarn and silver thread in a slip stitch pattern. I also like the popcorn trim around the edges. This doily is pretty and looks easy to do. The phone in the photo makes me smile; it doesn’t even have a dial. 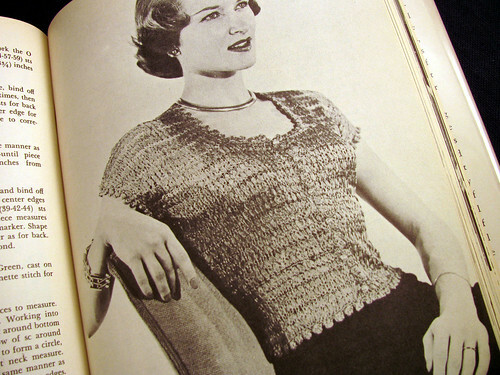 So many things have changed since the 40’s, but not knitting. This entry was posted on Monday, February 9th, 2009 at 3:00 am and is filed under Crochet and Knitting. 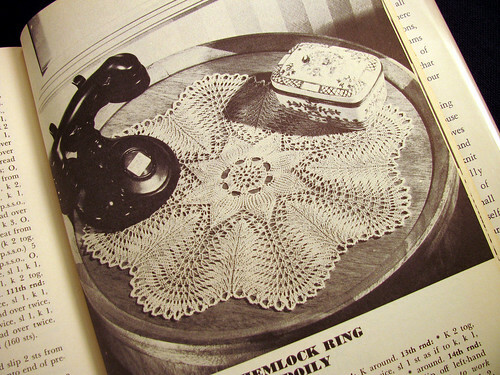 Tagged: Book, Crochet, Doily, Knitting, Needlework. You can feed this entry. You can leave a response, or trackback from your own site.